For full details on the workshop and prizes and to grab a badge or to catch up with us (join anytime! ), see the intro post, Week 2's prompts, and Week 1's poems. April 9: Birth: Sing this life-changing event, the agony or the sublime. instead of intense, rapturous, terrible minutes. and catching us in your net. Beautiful, both poem and the picture. It's quite touching. I'm linking up an embarrassing number of poems... all my dailies plus two from last week. you did ask for it, didn't you? Great poem! The "catching in his net" spot on! Ah, this is so sweet. 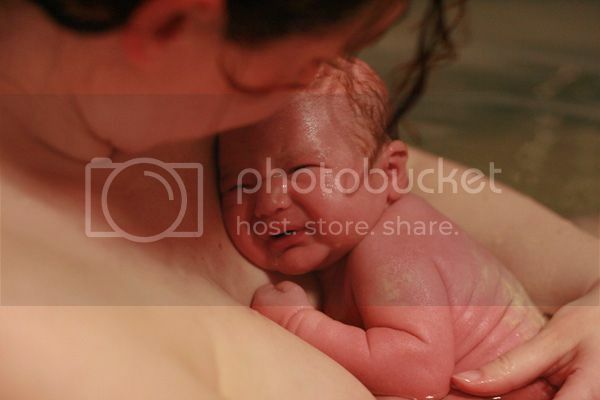 :) Marcella also slipped past the midwife. :) I got excited and pushed when no one was expecting me to so she swam up to us as well. Love!